That ceramic bezel is phenomenal. boatswain, bber45, Pietros and 1 others like this. I am on back order for the buckle too. 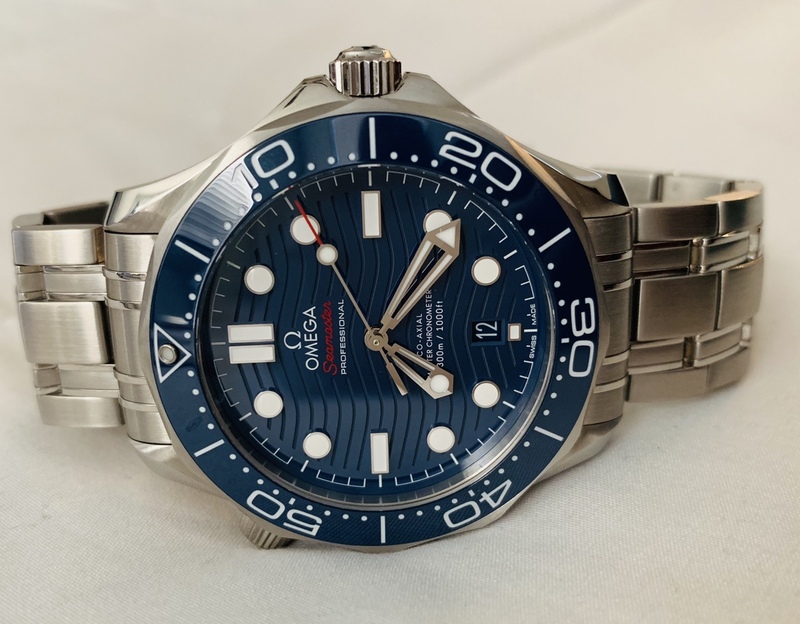 I purchased my Seamaster January 30th with the bracelet. I then purchased the rubber strap. My AD gave me an Omega buckle to use until the OEM buckle arrives but the OEM buckle will take 8 to 10 weeks to arrive. 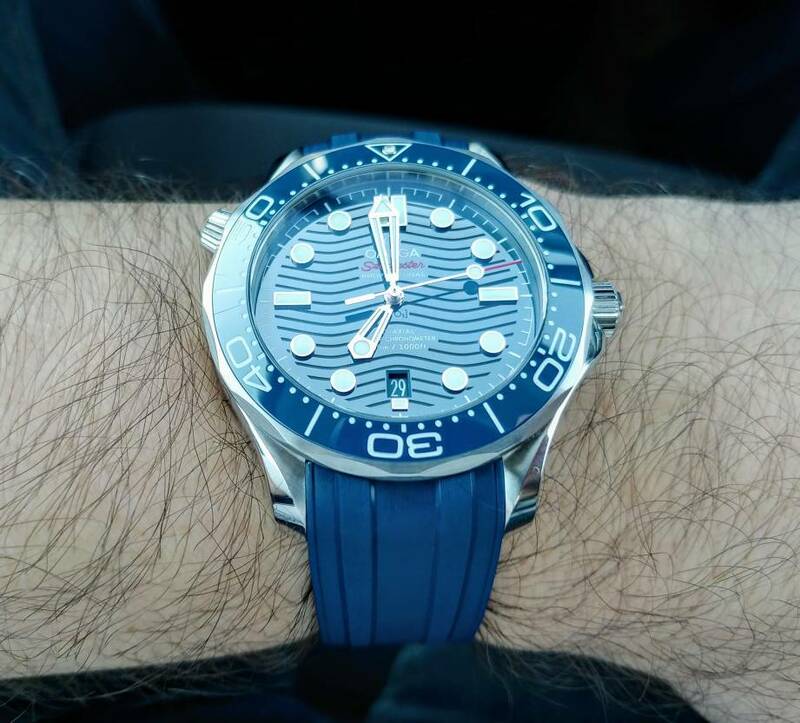 Photo of my Seamaster on the bracelet and the rubber strap. 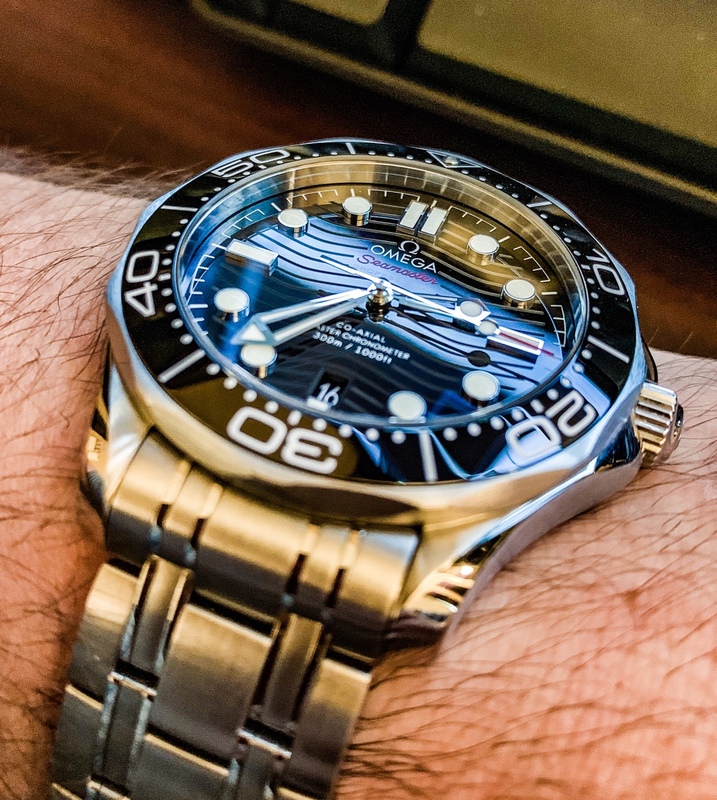 I owned the previous Seamaster and there is a huge improvement in the bracelet. I use the micro-adjustment almost daily. The rubber strap compliments the watch and is very comfortable too. boatswain, Pietros, Technarchy and 1 others like this. Rubber gets my vote. Looks ace. watchgeek216 and BufordTJustice like this. I emailed Crafter Blue a while back regarding the availability of an SMP-specific rubber strap. Nothing definite in the reply -- "we're looking into it," basically -- but would be nice to have another high-quality option for these SMPws. 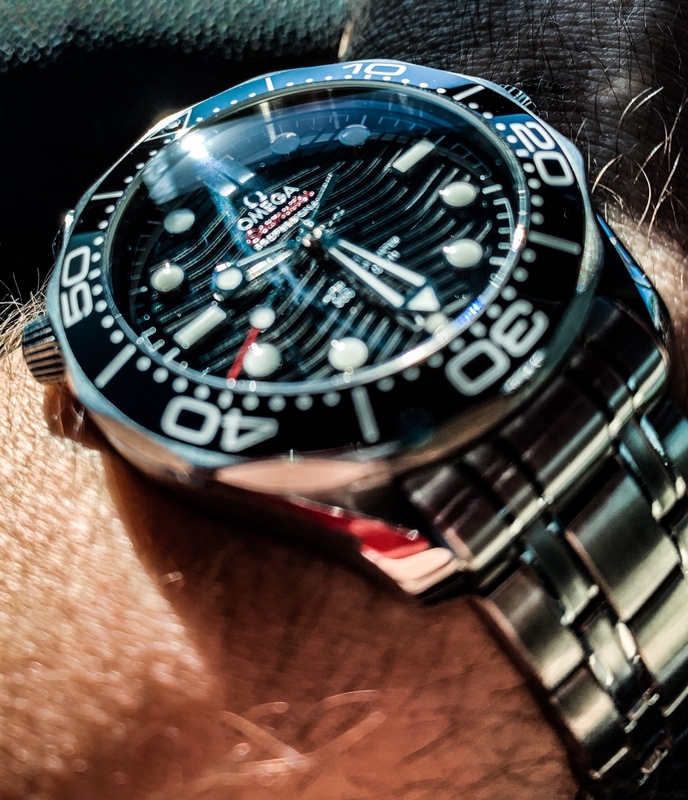 How’s the watch on a 6.75 inch wrist? I can't say. My wrist was 7.75" before I lost about 50 pounds. It's still just over 7.3".